I have a serious craving for blood oranges during the winter months. I love them as snacks, on desserts, and in salads. In honor of National Margarita Day, I decided to share my love for blood oranges and make some yummy blood orange hibiscus lime margaritas. This margarita recipe is a little different than your traditional margarita because it uses fresh blood orange juice and hibiscus-lime soda. The hibiscus adds a floral essence to the traditional margarita. The sweet and tart flavors are perfect for any occasion. Check out the recipe below. In a shaker filled with ice, add ingredients. Pour into a glass rimmed with salt (optional). 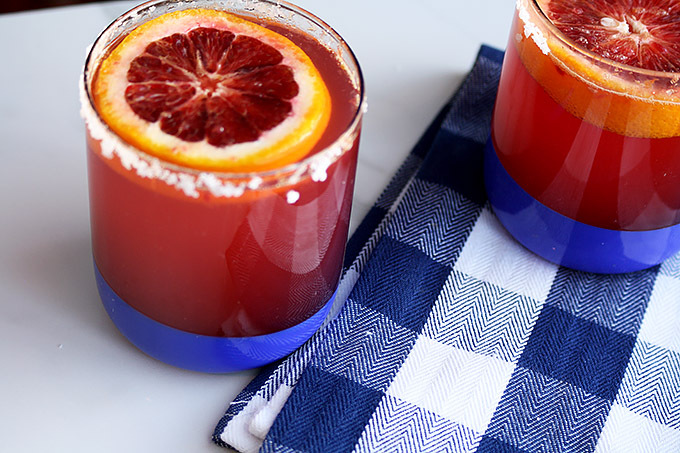 Garnish with a lime or blood orange.